There is so much going on this Christmas in Liverpool 2018 from the Christmas markets, to Liverpool ONE festivities, to family events and the Ice festival down on Pierhead! We took a visit to Liverpool Ice Festival which is now in its third year. The ice rink, ice slide, Christmas markets and fairground rides are back on the waterfront with the backdrop of the world famous Three Graces. This year there is no Ice Bar but there are plenty of other options for food and drink. The all weather ice rink is open for all ages and abilities, from beginners to experts. There are new push along things (almost look like bananas) for the kids to sit on, then penguins for the un-confident skater and lots of wall space for the rest of us. Whilst the new push on long seats are great for the little kids I really do think there should be a ban on teenagers using them with each other as there is nothing scarier than watching tw unstable teenagers come towards your un-confident seven year old on the ice and nearly take them out! It was a very busy Sunday afternoon when we went so perhaps follow my advice from last year about Ice Skating in Liverpool and head to the Ice Skating early evening when it’s quieter. 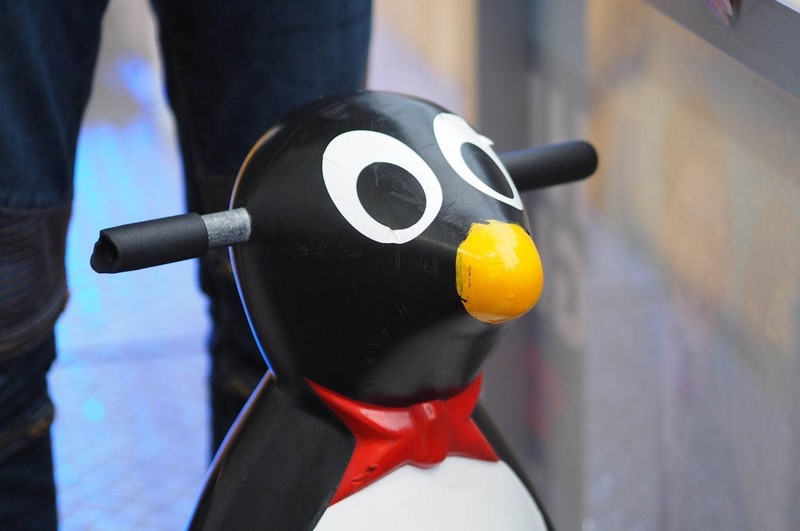 Here are our 5 Tips for Ice Skating with Kids at Liverpool Ice Festival. My three did however love the Ice Slides even more than last year. I think because they were a little older and braver, the guys at the top spun them when they set off and they screamed with delight all the way down! Book online before you head into town, that way you know you can slide. Wear hats and gloves and coats that cover you bottom! Jeans or at least long trousers also a great idea. Price is based on 3 rides down the slide. There are 3 runs to choose from so take your pick! The slide is open to adults and children but due to the height of the slide, children must be over 60cm tall (1.9ft or 0.6metre) to ride down the slide alone. Children under 60cm tall can ride on an adults lap and only one ticket is required. 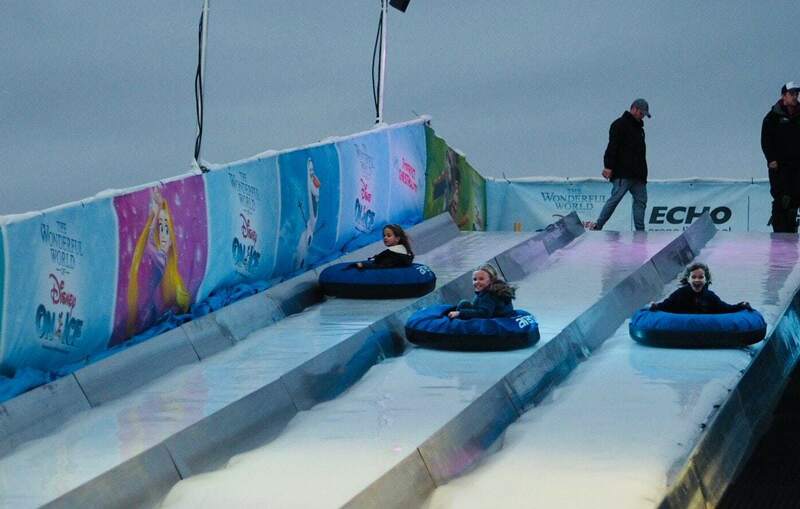 They’re feeling extra festive at Liverpool Christmas Ice Festival, and are giving you three FREE rides on the UK’s largest ice slide! To redeem this amazing offer, simply book and skate by Friday 7th December and show your confirmation at the ticket office located at the Pier head. We finished off our evening at the Ice Festival by visiting one of the many amazing food and drinks venues in Liverpool. 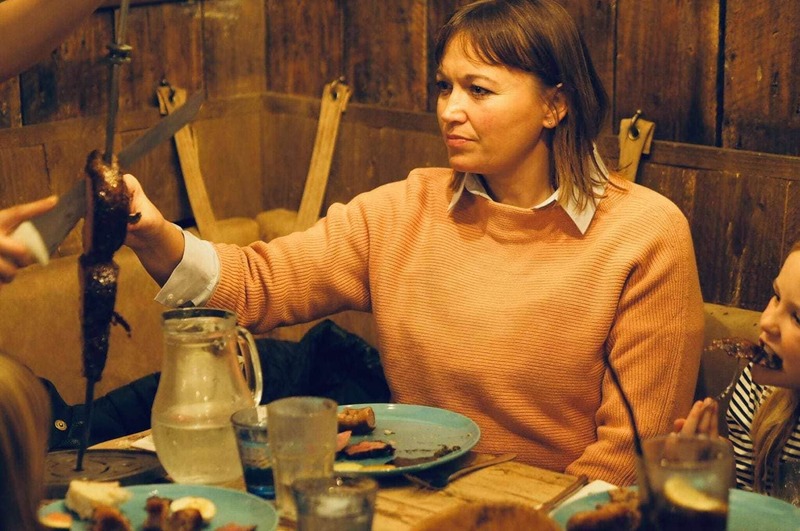 We didn’t have to wander far from Pierhead to the kids restaurant of choice – Viva Brazil – which is only five minutes away from Pierhead up on Castle Street. Kids Eat Free at Viva Brazil with one paying adult and they can pick a dish from the kids menu, with options like fish sticks and french fries or sausage and mash, or they can choose Full Rodizio menu with 16 different BBQ meats. Mine loved this option last year and so immediately went for it again, noting that it was the BEST restaurant they have ever been to, they even bravely tried the chicken heart (before deciding it was gross) and focusing on the incredibly tender Cap of Rump Steak – can’t say that I blame them it was amazing! Clearly studying the rump steak fully! Lovely jumper and shirt are from Landsend! Festive experiences and trips to see Santa are popping up all around so where can you see Santa in Liverpool in 2018. You can read our list here. including Winter Wonderland at Bombed Out Church. Liverpool’s famous “bombed out church” at the bottom of Hardman Street has been transformed into a Winter Wonderland for Christmas, so with the promise of an action packed creative hour or so, culminating in a visit to Santa, 5 year old Oscar and Martha and their Mum went along to sample the fun. 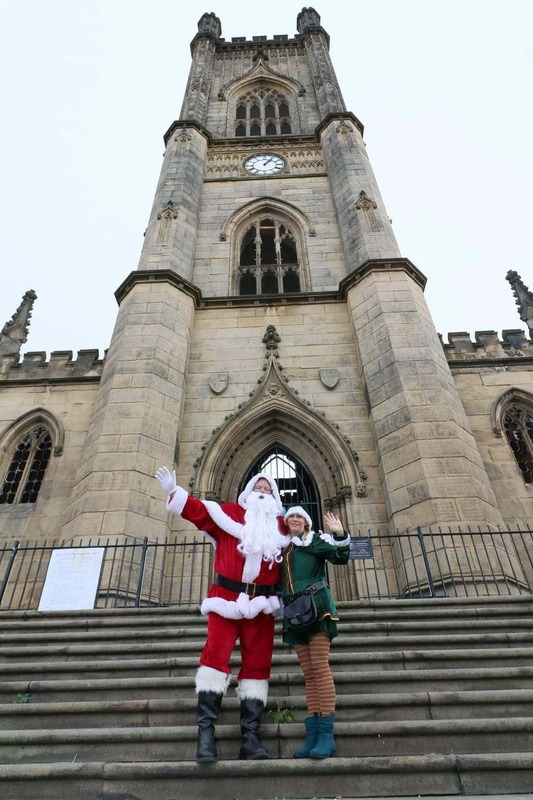 You can read their full review of Santa at the Bombed out Church here!